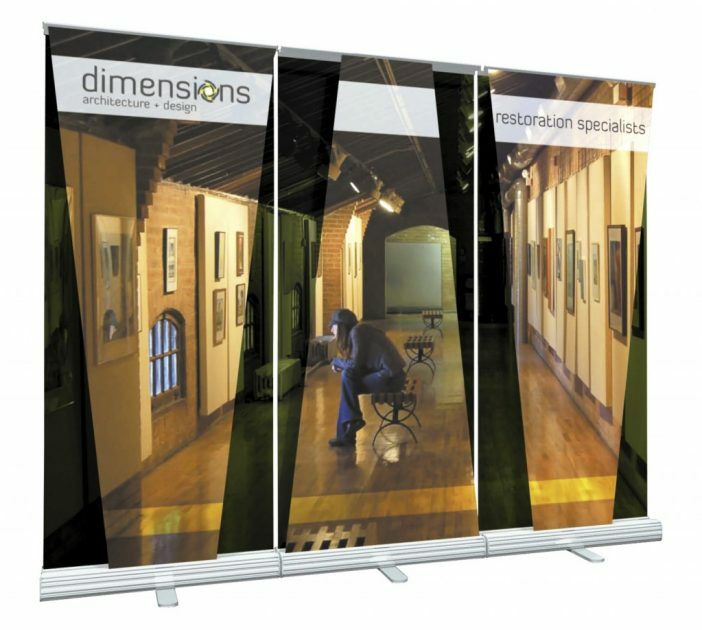 Portable displays, portable stands, trade show stands in Mtl. Impress and attract visitors with a fully backlit back wall. 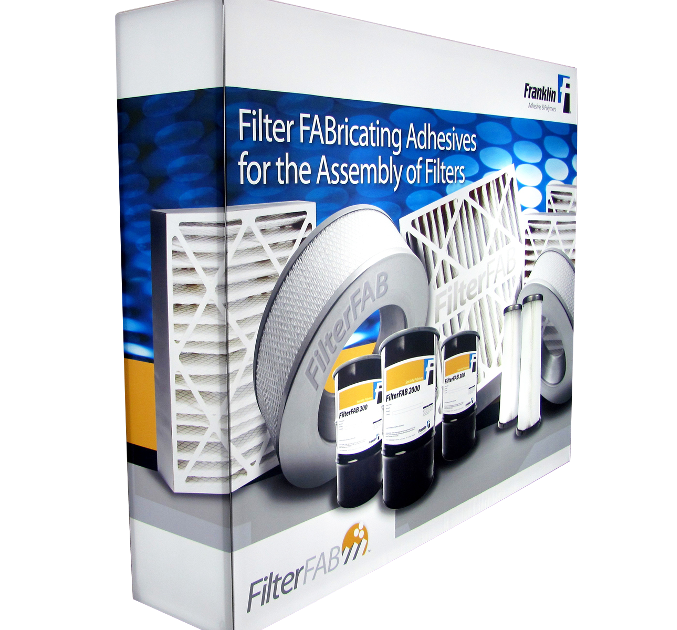 Guaranteed to make your brand stand out set you aside from the competition. 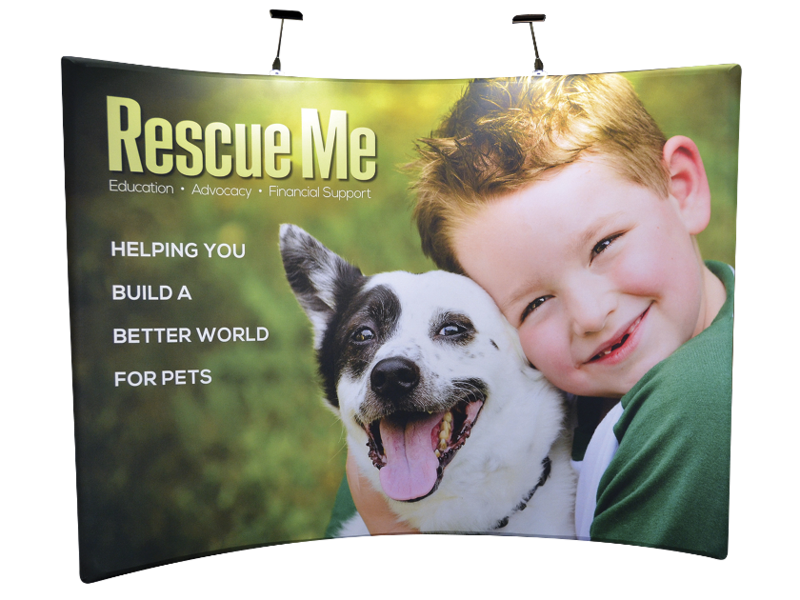 Wow your audience with large format fabric graphics that are skillfully sewn to fit a tent like frame. A zipper at the bottom of the frame offers flexibility to change out your message. The industry’s most popular and durable pop up display with over 500,000 sold Mirage is just one of many trusted Skyline® product lines. Come see for yourself! The world’s first air powered display that uses our patented revolutionary technology. Sets-up in minutes and can fit in your carry-on case! If you spend thousands on shipping WindScape® could save thousands! 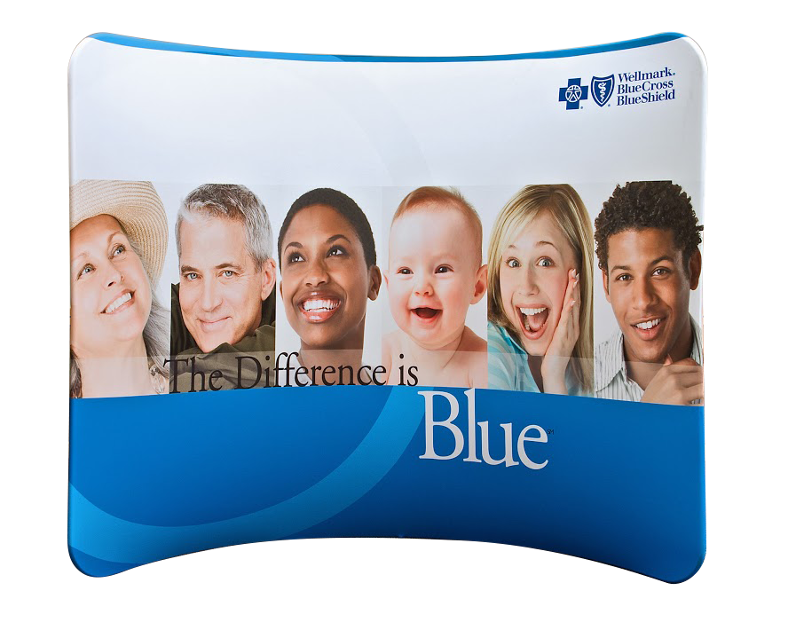 Skyline offers a variety of top quality banner stands that answer the multiple needs of different exhibitors. Book an appointment to see the many options we have to offer. Tips, tricks, seminars, webinars, and tons of helpful articles, our blog has everything you need to know to help you exhibit successfully. Linear kiosks can be the ideal solution for striking your audience! 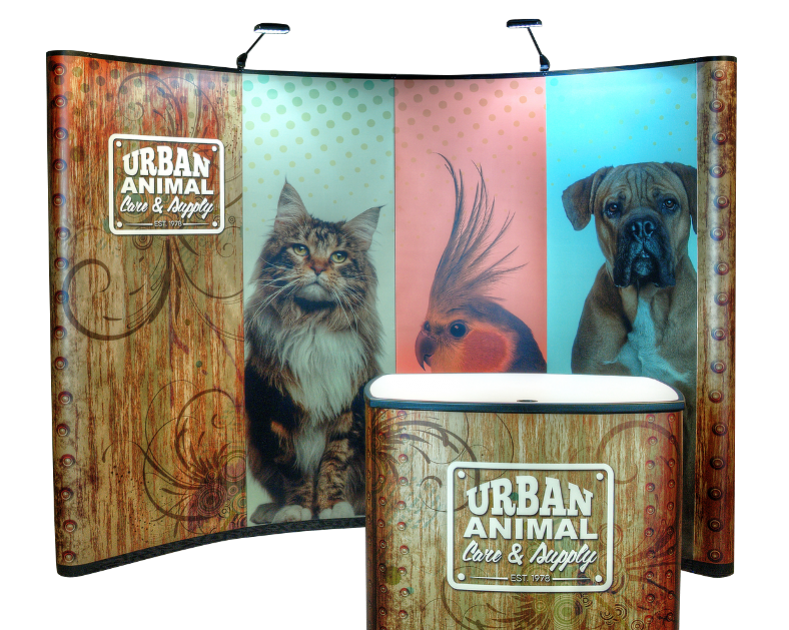 With the length and square footage possibilities, they are a versatile option for trade shows. Accessibility from all sides and opportunity for people to experience your products and services in a unique way. No matter what type of event, our solutions can be made custom to optimize impact and your return on investment. Mélanie LachanceDirectrice du Marketing at GE Leblanc Inc. THE REGATTA AND ALL THE DISPLAYS.